What Is Robotic Assisted Locomotor Training? 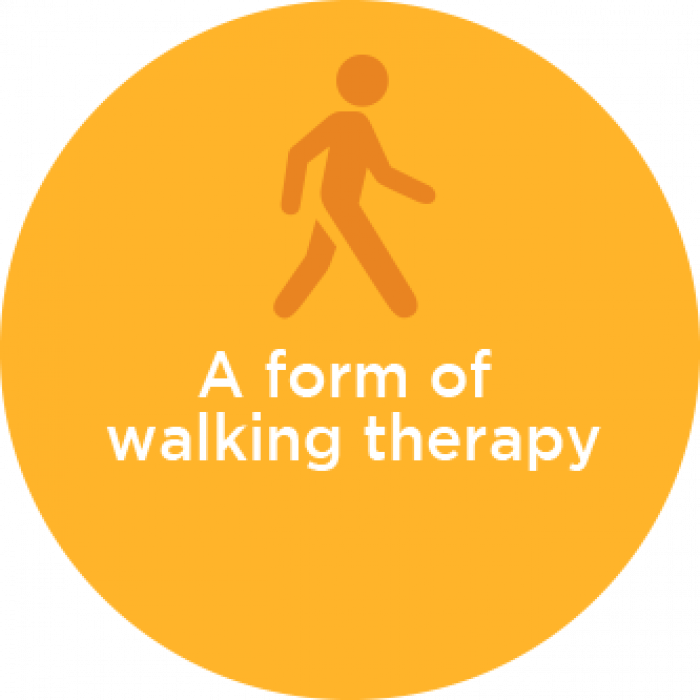 Locomotor training is a form of walking therapy. It typically involves children taking frequent steps at high speeds while their body weight is supported. A device called the Lokomat® is one tool that can help some kids to participate in locomotor training. The Lokomat uses robotic parts to help kids move their legs during walking therapy, which is why it’s called robotic assisted locomotor training (RobALT). 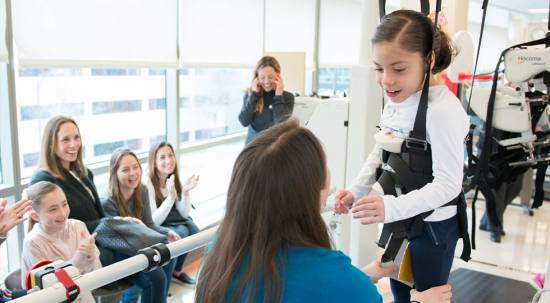 See the Lokomat rehabilitation robotics in action at Gillette Children’s Specialty Healthcare. Who Benefits from Robotic Assisted Locomotor Training? 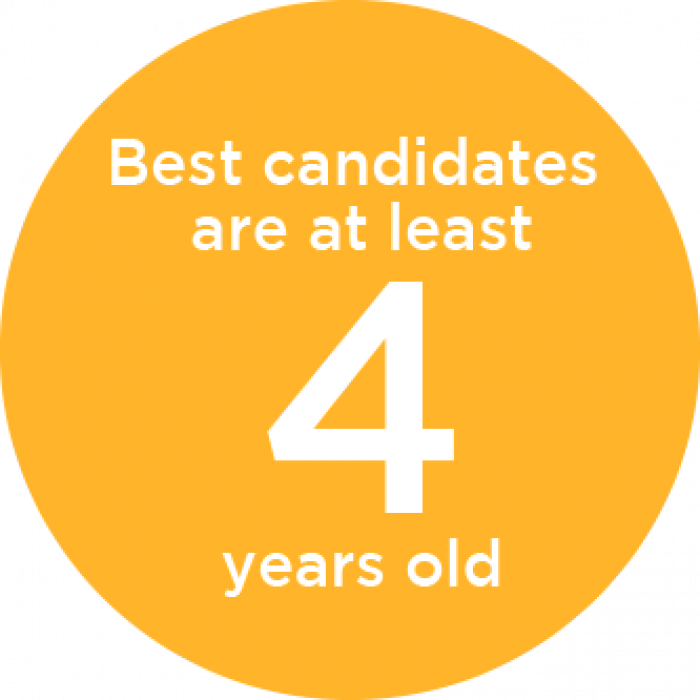 RobALT therapy can help kids who have complex conditions like cerebral palsy, incomplete spinal cord injuries, traumatic brain injuries or other nonprogressive neurological disorders to improve their ability to walk. Are at least 4 years old so they can fit into in the Lokomat. Have a good range of motion in the hips, knees and ankles. Can tolerate standing for at least 45 minutes. Can signal or communicate pain, fear or discomfort. Evaluate if RobALT might be a good option within your child’s treatment plan. Fit your child for the Lokomat harness, which is what supports their body weight while walking. Wear long pants, such as cotton athletic pants, pajama pants or leggings. Very loose-fitting pants or pants with thick seams, zippers or buttons on the sides aren’t recommended. Wear the same shoes they've worn to other RobALT appointments. Wear their ankle foot braces (also known as orthoses), if they have them. Consider wearing a sports bra (girls) or an athletic supporter (boys) to be more comfortable in the RobALT harness. At Gillette, RobALT therapy sessions are scheduled for 60 minutes. Most kids can walk for at least 30 minutes during each appointment. The frequency of sessions on the Lokomat depend on your child’s physical therapy needs—two or three times per week is typical. RobALT therapy is intensive, so your child must plan to attend all scheduled sessions. Your child uses a harness that connects to an overhead suspension system and treadmill. A physical therapist positions your child’s legs in robotic leg braces that connect to a frame. A physical therapist adjusts the amount of weight that your child must support with their legs and how much help the robotic leg braces provide as your child walks on the treadmill. As adjustments are made, physical therapists help your child get used to the different levels of training. The Lokomat moves your child’s legs in a walking pattern. The Lokomat at Gillette features interactive games and virtual reality activities that can help entertain and motivate your child. Following sessions on the Lokomat, your child should participate in any at-home activities suggested by a physical therapist. After RobALT therapy is complete, we schedule a follow-up visit with your child. When participating in Lokomat therapy at Gillette, your child works with specialists who contribute to the latest in rehabilitation technology and research and belong to one of the nation’s top providers of pediatric inpatient and outpatient rehabilitation services. See all Gillette hospital and clinic locations.